As expected, with the several different varieties of apples at our farm are ripening, our popular, blended apple cider will soon be pressed in the coming 4 weeks. Continuing the tradition, we make our apple cider with a variety of apples, which contributes to the complex flavor and sophisticated taste of blended apples. 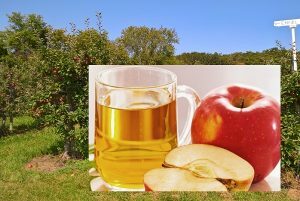 The best part is that our cider has no added preservatives or sugars, but simply consist of 100% hand picked fresh apples.